Elegant brick home in culdesac w/ open floor plan, unobstructed Mtn views, private back yard, brick walkway & front porch, entry level corner office, kitchen w/ gas range, solid surfaces & stainless steel appliances, bump-out breakfast bay, walls of windows w/plantation blinds throughout. 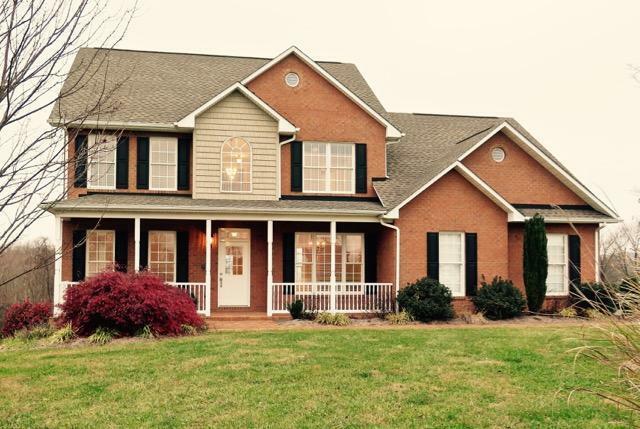 Gleaming hardwoods, crown moulding & 9' ceilings, side-entry attached garage, big Trex deck. Deluxe master suite. Large unfinished walkout bsmt w/ rough-in & workshop, 400Amp Elec, snow removal & yard/landscaping maintained by HOA!